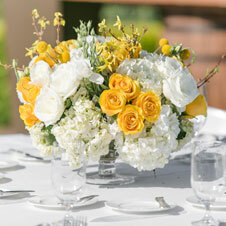 Sunshine and happiness go with Southern California, so what better way to kick off an incentive trip for top performers than bringing on their mellow with a healthy dose of yellow? 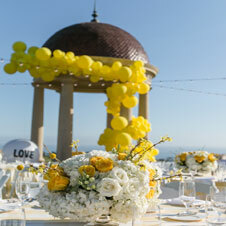 The yellow-infused evening featured Hollywood's hottest female trio, the Beverly Bombshells, the Resort’s Rotunda wrapped in a tower of yellow balloons, and a Happy Bar of yellow candy. All the details had guests literally walking on sunshine.